Want to sharpen your copywriting skills? To explore the art of persuasion and why it’s important to social marketers, I interview Ray Edwards. In this episode I interview Ray Edwards, author of Writing Riches and MoneyWords. He’s host of The Ray Edwards Show. His latest book is called How to Write Copy That Sells: The Step-by-Step System for More Sales, to More Customers, More Often. Ray will explore how to craft written and spoken words that sell. 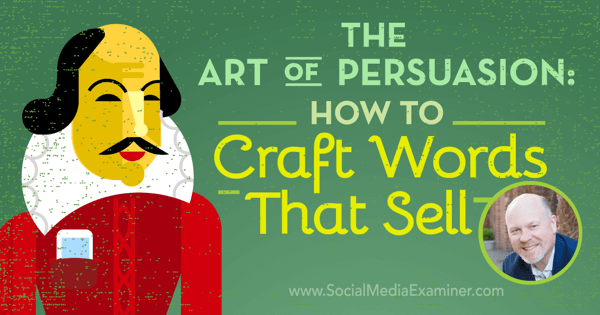 You’ll discover why marketers should care about creating persuasive content. 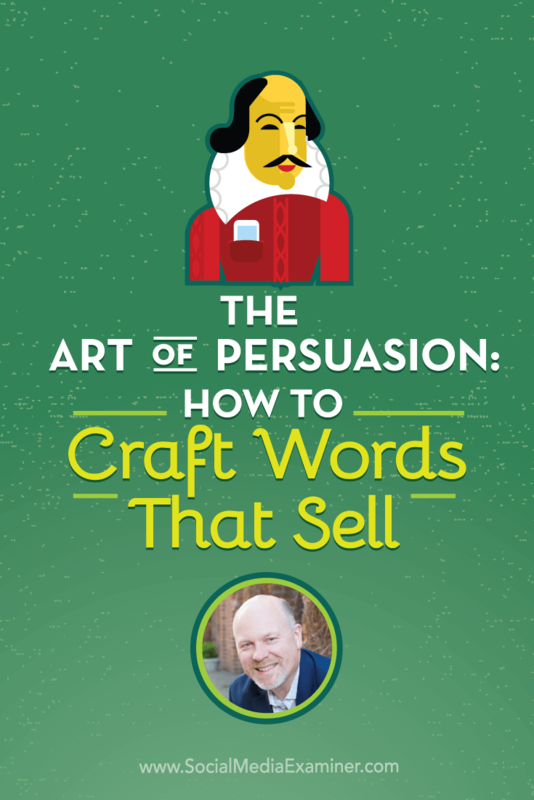 Listen as Ray Edwards shares what marketers need to know about the art of persuasion and how to craft words that sell. In 1974, at age 9, Ray saw his first direct-response copy at his grandparents’ house in Pineville, Kentucky. His grandmother loved to read Weekly World News and The National Enquirer, and Ray’s favorite part of those tabloids was the fascinating, full-page articles that were peppered with information about books and courses that were available for purchase. During his career in radio, Ray studied direct-response copywriting and marketing, and used them as his secret weapon in the business. While others were cranking out commercials and ad copy to fill 30- or 60-second spots, Ray wanted to get money into advertisers’ businesses. That way they would keep doing business with the station and he could keep his job. In the early 2000s, radio started changing because of the Internet. People could take their favorite songs with them, which eliminated the things that annoy people about radio stations: static, commercials, and DJs. Ray recalls paying $1,200 to go to a group meeting at Seth Godin’s office in New York. (This was before Seth was as big as he is now, but after he had written Permission Marketing and Unleashing the Ideavirus.) Ray figured Seth could offer “marketing wizardry” about how to fix the radio stations, but Seth’s advice to Ray was to figure out what to do after he was out of the radio broadcasting industry. Ray has been writing copy for the Internet since 2005. Ray realized everything he’d learned about marketing, persuasion, and selling in an entertaining and palatable way would transfer to the Internet. He hung out his shingle and has been working as an Internet copywriter since 2005. Listen to the show to discover which client (and handler) Ray and Mike had in common. Marketers need to write so people will buy not only products, but also ideas. You want people to read your blog posts to the end, comment on or share them, or write about them. Ray explains that you know you’re writing persuasively when other people are writing about your posts. You’re the generator of the conversation, not only a participant. He says that at it’s core, copywriting is the science and craft of persuasion in communication. Whether you’re talking, writing a blog post, doing an interview, recording a podcast, or posting on Snapchat, every communication is persuasion. Listen to the show to learn why Mike feels this topic is so important. Because everyone is present on the social media playing field, you have to be persuasive and stand out. Ray explains the framework he created, so people can improve their own persuasive copywriting. Ray thought of the word PASTOR, which he explains refers to the original connotation of the word: to be a shepherd. 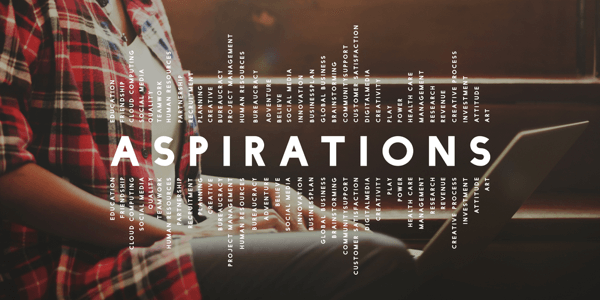 Follow Ray Edward’s PASTOR acronym to create great persuasive copy. The shepherd protects, cares for, and leads the flock. When you’re selling, you need to think about your customers, prospects, and readers. Whether you ask people to “read my blog post,” “take a look at my Facebook status update,” or “share this content,” you’re trying to shepherd them into making a good decision that’s in their best interest, not to manipulate them. 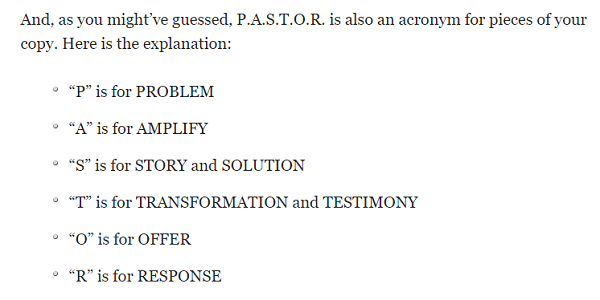 You can use the acronym PASTOR as a framework to create any message you want, whether it’s an update, blog post, the outline for a podcast, or an extemporaneous talk. P. The P stands for the three crucial elements you need to think about before you start crafting your message: the person, the problem they face, and the pain you’ll help them resolve. The first step in persuasively communicating is to know your audience. Who are they? What is their life like? What are their fears, frustrations, anxieties, and aspirations? What keeps them awake at night? What makes them angry? What makes them laugh? The only way to know these things is to get to know these people. It’s important to understand the problem. Image: Shutterstock. Ray says the pain doesn’t have to be an earth-shattering pain; it can be something as simple as the need to get more retweets of their content. For a lot of people that’s a problem, because they write something and no one pays attention to it. He then shares that the same problem can be painful to different people in different ways, so it’s important to understand how the problem affects the person you’re targeting. For instance, an individual who’s upset that others aren’t sharing her social media updates may be frustrated by not being heard, while someone who manages social media communications at a big company may be frustrated because he might get fired. Once you understand how the pain is felt, you move on to the A in PASTOR. A. The A is two things. First, you amplify the problem and the consequences of not solving it. For example, if the person is in charge of social media marketing and the problem is that he isn’t hitting the targets, the consequences could be more pressure from the boss, higher demands, and bad performance reviews. These consequences might result in being passed over for promotion, not getting a raise, or being fired. If he’s fired for not being able to handle social media with this company, he’s not likely to get another job doing the same thing with another company. Amplifying the consequences shows this person he needs to handle the problem. The other side of the A coin is aspirations. You go from prodding the person’s pain to patting him on the back, and then showing him what’s possible. An “employee” may want to be recognized as the true driver of traffic and business to the company, so the boss will love him and give him a raise or promotion, accolades, and awards. Entrepreneurs have a totally different set of criteria. Their praise comes in the form of sales to customers. Speak to your target’s dreams and goals. Image: Shutterstock. Whichever scenario, amplify the consequences of inaction and then speak to the person’s dreams. Remember, you need to get to know them first. S. S stands for story and solution. Ray says you need to tell a story about your own struggle with this particular problem and pain (“I wasn’t getting listeners, retweets, people weren’t engaging with my posts”), and then share how you changed it. Ray says the CoSchedule blog shares a lot of data-driven case studies, so it’s interesting to read how they address a problem. They figure out what they need to do, take some action, study it, and add up the numbers, while their audience gets to follow along. They know whom they are talking to (someone who wants to build a social media empire), what the person’s pain and problem points are (they need more traffic, more loyal followers, more shares), the consequences of not addressing it, and how to appeal to their audience’s aspirations. Then they tell their story and show their solution. 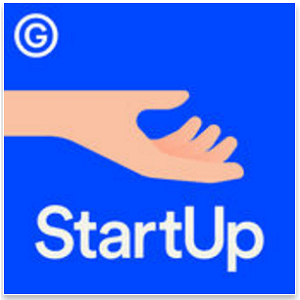 The StartUp Podcast is a great example of the power of story. On the StartUp Podcast, Alex Bloomberg shares his aspirational dream of starting his own business by going through his own story, problems, and consequences. If you have an important message to share and you don’t tell stories in the process, you do a disservice to yourself, your message, and your audience, Ray adds. The second part of the S is the solution. You may be selling a conference, like Social Media Marketing World, or a product. Whatever it is, explain how the solution helps you. For instance, Ray says Post Planner is a great solution to a certain set of problems, and reminds listeners that the solution doesn’t have to be something you can sell, it can also be an article or an infographic. T. T is for testimonial and transformation. In advertising and selling, you have testimonials, where people share their experience with your product, service, or conference, and testify that your solution actually works. Your copy also needs to speak to the transformation. For example, people don’t wake up and say they need to travel across the country to attend Social Media Marketing World. They wake up thinking they need to master social media marketing. Then they find out that Social Media Marketing World can give them that transformation. They can come to the event not knowing what they’re doing, and leave with a ton of knowledge, wisdom, experience, expertise, and connections. Attendees are different people coming through the other side of the experience, whether they’re buying a product or reading a blog post. The transformation is the answer to the aspiration. Make sure your target recognizes your offer as the best solution. Image: Shutterstock. In the shepherd mindset, you’re looking out for your people. You know your solution is the best option to solve their problem. Do everything you can to powerfully communicate to them what you have to offer and what they’ll receive, and remind them of the transformation that’s going to happen in their personal life or business. R. The R is the response. Ask your audience to do something, whether it’s to buy, comment, share, retweet, download a white paper or infographic, or watch a video. You’re requesting a response. If you don’t ask, people may not know what you want them to do. Listen to the show to hear our thoughts on offering choices to your audience. Ray suggests people think through all six pieces of the framework and then zoom out. First, write a headline, which is the most important piece of copy. If the headline doesn’t catch people’s attention, they won’t read anything else. In today’s world, headlines are email subject lines, tweets, status updates, and blog post titles. Ray says in the headline it’s important to appeal to the benefit people want out of whatever you’re writing, talking about, or selling. There’s a famous headline, written by John Caples, “Do You Make These Mistakes in English?” It was enormously successful, because the specificity of it made people curious. People wanted to know what the mistakes were and if they were making one of them. You can easily adapt that to a tweet or a blog post. “Which of These 5 Mistakes Do You Make on Your Blog?” This is a popular formula that works. This headline was very successful. Ray shares a few of his go-to templates for writing headlines. The first one is the how-to headline. Next, there’s the transactional headline. This is where you say something like, “Try These 5 Tactics for a Week and Be Twice as Productive.” It’s a “try something and you will get something in return” approach. Then, there’s the reason-why headline. It might be something like, “Why Your Blog Posts Get Ignored and How to Fix That.” These are super-powerful, because they get at the heart of what’s bothering people about the subject. There’s also the probing question headline. You have to be careful with these, Ray says, because they can sometimes leave people flat. One of his favorites was written by legendary copywriter Jim Rutz. He wrote a headline a long time ago that said, “Why Don’t Doctors Get Sick?” Ray says his doctor friends all laugh when the see it, because they do get sick. Listen to the show to discover how Ray became friends with a legendary copywriter. New OCR (optical character recognition) is a free web tool that helps you take text from an image and paste it into a document, so you’re able to work with it. 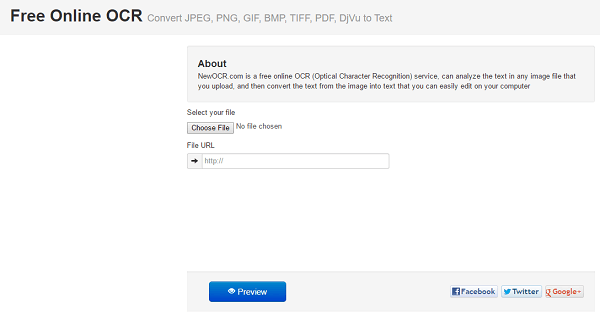 New OCR is a free online tool that converts image text. Take a photo or even a screen capture. This works with images (JPEG, PNG, GIF, bitmap, TIFF) and PDFs. Click to choose and upload the file to NewOCR.com. Hit preview. It then asks you to crop the text you want. Once you do that, click to download or edit online. There are no fees for this service, just advertisements in the sidebar. Listen to the show to learn more and let us know how New OCR works for you. 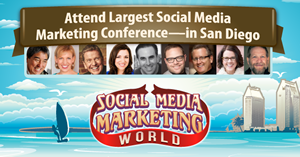 We’re just over a week away from Social Media Marketing World 2016. It’s the world’s largest social media marketing conference. By attending, you’ll make connections with 100+ of the world’s top social media pros (plus 3,000 of your peers) and you’ll discover amazing ideas that’ll transform your social media marketing. Speakers include Guy Kawasaki, Mari Smith, Michael Hyatt, Jay Baer, and Michael Stelzner. If you can’t make it to the event, we have an amazing option for you. Get the recordings of all 100+ sessions, keynotes, and workshops, so you can absorb all of this cutting-edge content. This is our virtual ticket and you can only get it for a short period of time. Consider the value of the virtual ticket: There’s no travel, time off work, hotel costs, car rentals, etc. It’s a great way to get the latest training in everything you need to know about social media. Click here to check out the speakers and the agenda and grab your live or virtual ticket. Learn more about Ray on his website. Read How to Write Copy That Sells: The Step-by-Step System for More Sales, to More Customers, More Often, Writing Riches, and MoneyWords. Listen to The Ray Edwards Show. Explore SocialCopyClinic.com for free templates, case studies, and video tutorials. Learn more about Eugene Schwartz. Read Seth Godin’s Permission Marketing and Unleashing the Ideavirus. Learn more about Ray’s PASTOR framework. Explore the CoSchedule blog, StartUp Podcast, and Post Planner. Learn more about John Caples and Jim Rutz. What do you think? What are your thoughts on crafting words that sell? Please leave your comments below. 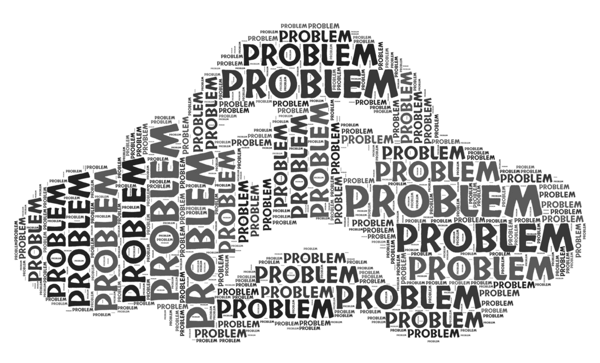 Problem photo, Aspirations photo, and Offer photo from Shutterstock. 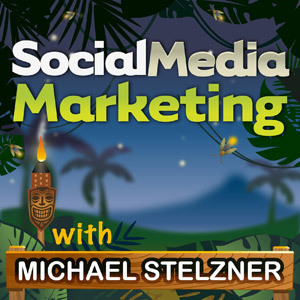 Ray Edwards talks with Michael Stelzner about the art of persuasion and how to craft words that sell.